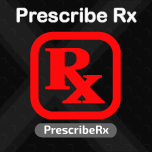 Prescribe-Rx is complete Prescription Writing Software in Bangladesh. Auto Prescription printing and Patients Record Management Software for Doctors Daily Use. Auto Prescription Software makes relationship between physicians, Patients, and pharmacies by automating the Prescription Management System. Our Prescription Writing Management Software will print a well formatted Prescription your Patients will love it. We are Medical Software Development Company in Bangladesh making a complete Prescription Writing Software system with the help of some specialized Doctors which will be a part and parcel of every Medical practitioner. This Software is part of a series of research, teaching tools and study material with the features of Patients Records Management, Medicine Management, Patients Historical Data Analysis, Easy Prescription & Medical Certificate Printing, Statistical data analysis etc. expecting to release at a very cheap cost with the finest service and supports all over in Bangladesh. Bangladeshi Prescribe-Rx is created to give more knowledge and power to the Doctors to record, update, and keep track of all reports of the Patients. Most Doctors, for example in Bangladesh, other emerging or undeveloped countries do not keep track of Patient histories. They normally write a Prescription on a pad and give it to the patient. When the Patient visits again, records are usually lost. We want to give Doctors more control by enabling them to enter Prescription on the computer, posted, saved and printed through online facilities in the Prescribe-Rx. Doctors can also avail compiled treatment data to generate their own research on Disease, Medicines, and Diagnosis, that would eventually drastically enhance the healthcare situation of Bangladesh.